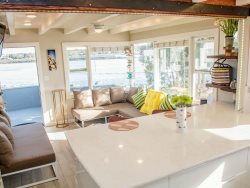 Viva Beach Life buy, remodel, stage, market, sell, and manage Viva Beach Life OWN coastal vacation homes that entertain guests located on the coast of San Diego, CA to Portland, OR! Let us help your Coastal home to entertain guests! •We're always trying to enhance your entertainment experience. We LOVE input as we act on it immediately! •We support the shared LOCAL economy (Vacation Homes, Cars, Lyft, etc.) as we provide a unique LOCAL entertainment accommodations to host your vacation, work travel, temporary living, stay with friends and families. •We pay 31+ contractors a month from construction, remodelers, handypersons, housekeepers, inspectors and buy lots of remodeling, hospitality products daily! •I'm an e-commerce digital marketing executive/consultant and I live in my vacation rentals to improve the entertainment experience. •I'm super active and rent my homes in La Jolla, Pacific Beach, Newport Beach, El Segundo Beach/Manhattan Beach, California and Portland, Oregon to preferably vacation renters like you! •TRAVELING, VACATIONING, Beach volleyball, fitness, running, soccer, mountain biking, snowboarding, surfing, tennis, design, and landscaping. •Life is too short not to incorporate a vacation every chance you get. Live it up with family and friends. I would love to host you!